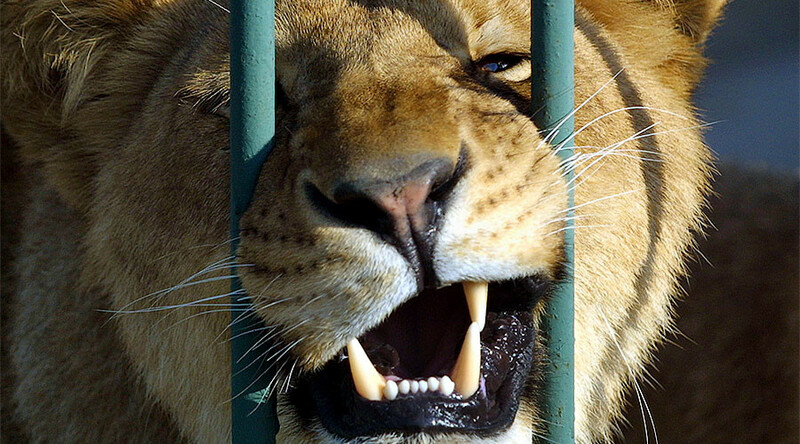 A zoo employee in Nizhny Novgorod, Russia was hospitalized with severe bites after he entered the enclosure of a lioness in order to pet her. Unfortunately, the drunken man’s desire to cuddle with the big kitty ended abruptly when she attacked him. The mauling occurred early on Friday at the Madagascar Zoo in the city of Nizhny Novgorod on the Volga River, the local branch of the Investigative Committee has said. A 50-year-old man, who worked at the zoo as a tractor driver, climbed over the fence and tried to pet the lioness. However, the predator did not appear ready to accept the man’s affection and immediately attacked him, severely biting both his arms. The spurned tractor driver was taken to hospital in critical condition. According to zoo representatives, the employee had been dismissed from work earlier that day for being drunk. The man was mauled in the morning while the zoo was still closed to visitors, said Natalya Polyakova, Madagascar zoo director, according to Otkryty Nizhny news website. In a similar incident in November, a zoo worker was attacked by a lion in Russia’s Rostov-on-Don. The drunken man, who was teasing the animal, suffered laceration wounds and a foot fracture. In another drunken zoo mishap in April, a schoolgirl had to undergo several surgeries on her leg after she unsuccessfully attempted to make a selfie with a tiger at the Barnaul Zoo.